Corte Madera Memories is a website dedicated to preserving our small town's heritage and history as reflected in written stories, articles, books, and memoirs, as well as in photographs, artwork, memorabilia, recordings, and more. It was established during Corte Madera's Centennial anniversary in 2016, and everyone who has something to share about life in Corte Madera, past or present, is welcome to contribute their own memories, photos, stories, memorabilia, or other documents for inclusion on the website. It's a work in progress, and we've been figuring out the shape of it as we go along, starting with the early history of the town, vintage photographs, individual memoirs and recorded interviews done in past years, along with a collection of more recent photographs that will eventually have captions added. If you have website-posting experience, editorial skills, time to do scanning, or other ways to help, please consider joining our team of volunteers and contact us by e-mail at Grassroots.CorteMadera@comcast.net. You can also send a message to the same address if you'd like to contribute your own photos or memories for posting to this website. 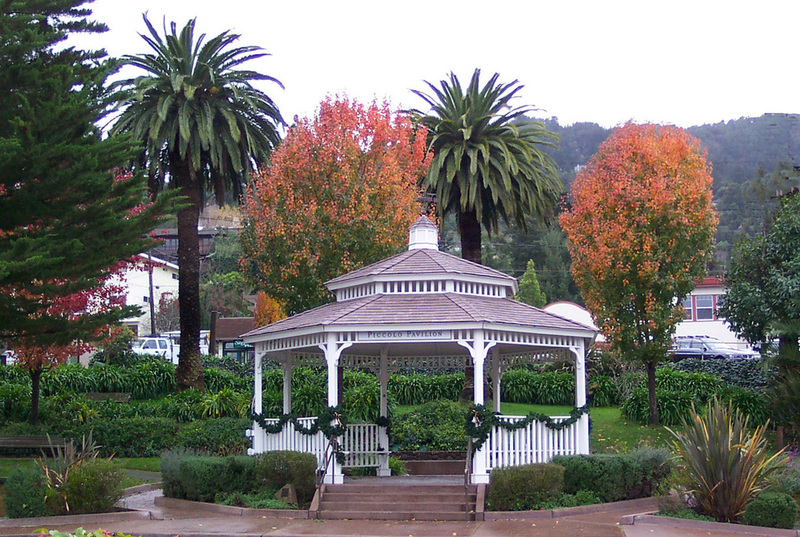 The public-spirited generosity of Wilfred George made it possible for Corte Madera to add a beautiful Victorian bandstand to Old Corte Madera Square in 1998. Wilfred George played the piccolo in the newly-formed Corte Madera Town Band, and in acknowledgment of his great generosity, the Town named it Piccolo Pavilion. 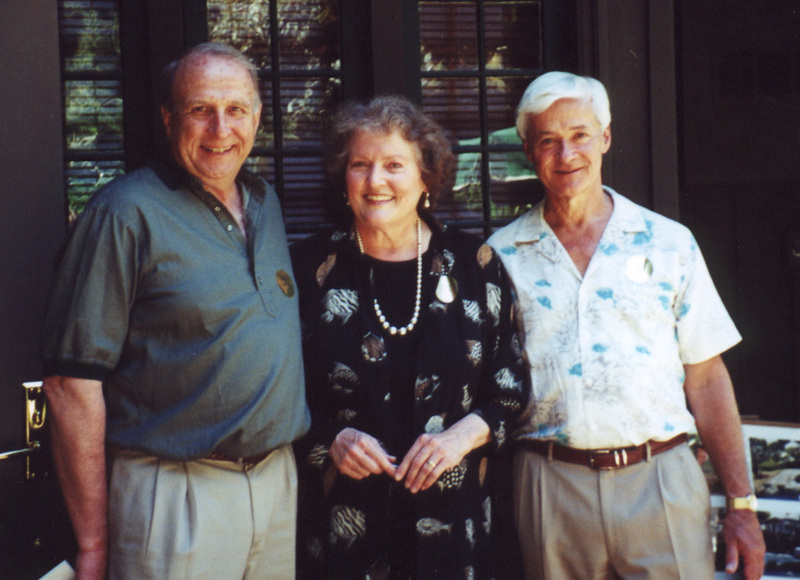 These former mayors of Corte Madera who served in the 1970s -- Bob Flahive, Jana Haehl, and Bob Dunn, were at the book-signing when A History of Corte Madera was published by the Corte Madera Community Foundation in 2002. 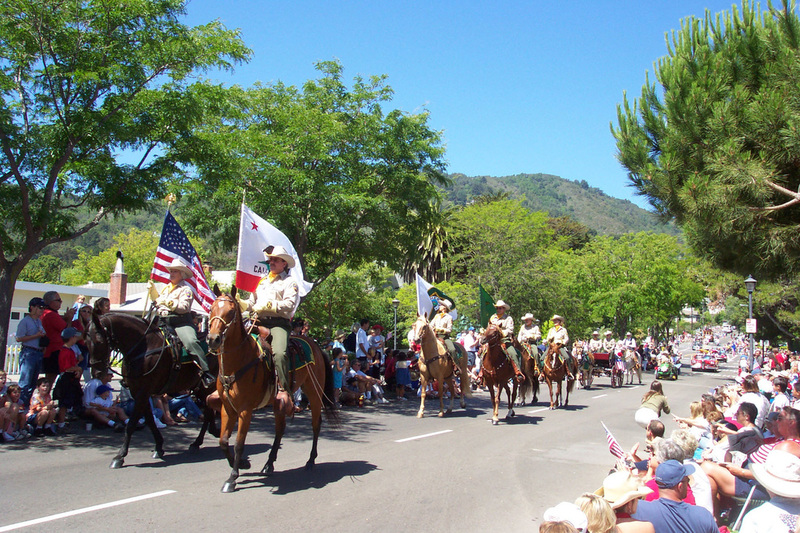 The tradition of a July 4th parade through Larkspur and Corte Madera was revived in 1966, when Corte Madera celebrated its 50th anniversary, and it's been an annual crowd-pleasing event each and every year since then.